The death of David Bowie left a gaping hole in the hearts of music fans throughout the world. Few, if any, mortals could equal the body of work and immeasurable influence the singer-songwriter managed in his 69 years on this planet. It’s not out of line to say that David Bowie changed music forever. In addition to the indelible mark he made in the realm of music, Bowie also enjoyed a more-than-respectable acting career. On top of cameos as himself in works like Extras and Zoolander, he had a number of other roles that ranged in seriousness and scope from “Lord Royal Highness” on SpongeBob Squarepants to Phillip Jeffries on Twin Peaks: Fire Walk With Me. However, no role on Bowie’s lengthy acting résumé will be remembered more fondly than his turn as Jareth The Goblin King in Labyrinth. 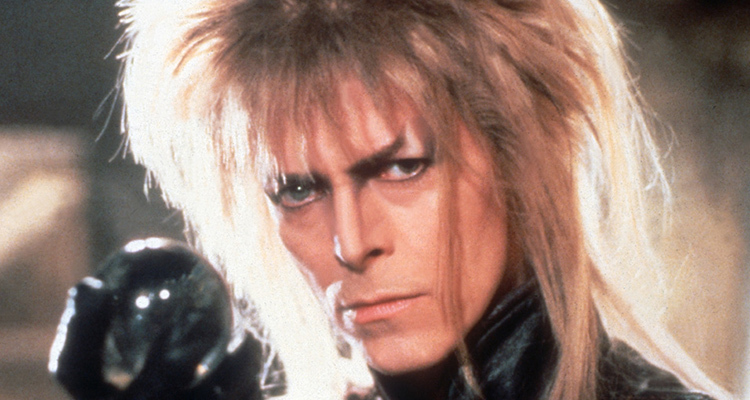 In light of Bowie’s tragic passing, Avalon Atmospheric Theater & Lounge will host two screenings of the 1986 classic fantasy film this weekend. The Bay View theater will show it at midnight Friday (into Saturday), January 15 and again at 10:30 a.m. on Saturday, January 16. Tickets to these special screenings will cost $5. UPDATE: Both the Friday night and Saturday morning screenings have sold out. An encore showing has been scheduled for 9:30 p.m. on Monday, January 18. Tickets are available now.